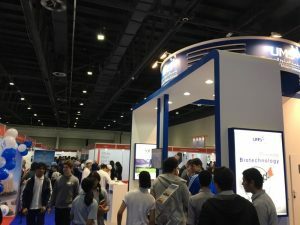 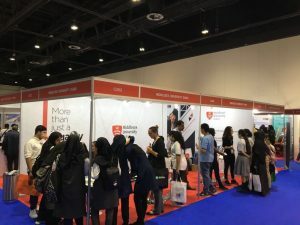 November 1, 2017 – Gulf Education and Training Exhibition (GETEX) Autumn Edition 2017, the latest edition of the leading student recruitment platform in the Middle East and Asia, has opened today (Wednesday, November 1, 2017) at Hall 5 of the Dubai International Convention and Exhibition Centre to help more than 5,000 learners around the region find the right educational choice from over 600 courses. The region’s most trusted event for higher education features a wide variety of study streams from over 50 regional and international universities located in eight countries, which are set to open their admissions between November 2017 and April 2018. The courses are focused on occupational and industrial skills, continuing education courses and other professional development offerings.